Road Safety – Who’s responsibility? Motorization has enhanced the lives of many individuals and societies, but the benefits have come with a price. Although the number of lives lost in road accident as a developing country, India is no exception not a day passes without Road Traffic accidents happening in which countless people are killed or disabled. Those who are affected or killed are mostly people in their productive age. The highest burden of injuries and fatalities is borne disproportionately by poor people, as they are mostly pedestrians, cyclists, and passengers of buses and mini buses. Road traffic accidents have emerged as an important public health issue which needs to be tackled by a multi-disciplinary approach. The trend in RTA injuries and death is becoming alarming in India. The number of fatal and disabling road accident happening is increasing day by day and is a real public health challenge. The approach to implement the rules and regulation available to prevent road accidents is often ineffective and half-hearted. India tops global list of fatalities from road crashes more than 1.3 lakh people died on Indian roads, giving India the dubious honor of topping the list of road deaths across the world. Until 2 years ago, the international Road Federation placed India second behind China. In India the situation is exacerbated by poor enforcement of traffic laws and myopic policies on the part of policy makers. Bihar has been ranked 13th in the country in term of occurrence of most road accidents. Some of the major reasons for accident in town are traffic indiscipline, lack of vigilance on major crossing and ill maintained open turns. Bihar has witnessed maximum increased in road deaths despite a decline 5,000 fatalities in the country, which translates into 4.4% fall during three quarters of 2017 in comparison to the same period last years. Now what are main contributing factors for road accidents? The road accidents are happening most often due top the reckless and speedy driving of the vehicles, not obeying or following traffic rules, the attitude of the “right of the mighty’’ bigger vehicles towards the smaller vehicles, overburdened or overcapacity hauling of public and transport vehicles, there are also some of human factor which contribute significantly to increasing number of road accidents in India. Reckless driving, over speeding, drunken driving and driver fatigue are main reasons. 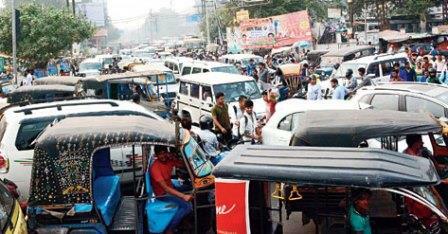 Strict implementation of traffic rules and stringent punishment alone will not solve the persisting crisis. Change in the mind set of riders and drivers and road users realizing their responsibilities alone will bring about a change.